“Vernon Adams is just like Russell Wilson” NOT! 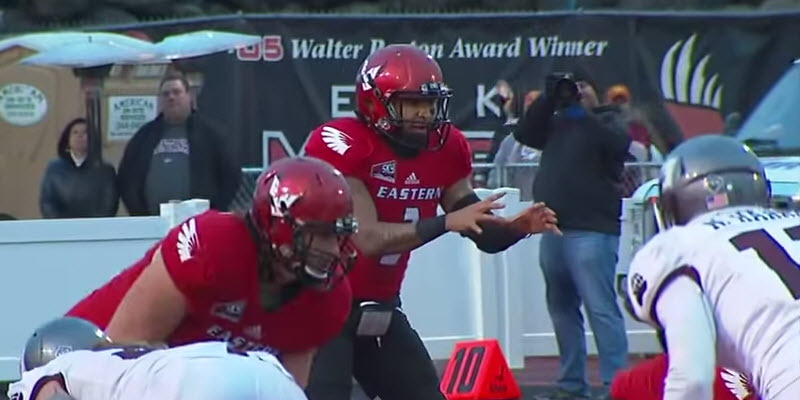 While there are definitely physical and ability similarities between Vernon Adams and Russell Wilson, when he played at Eastern Washington, Adams’ passing game was much more comparable to Johnny Manziel at Texas A&M. There were a lot of “What are you doing?? Great pass! !” moments. Passes that looked like they shouldn’t be thrown — to covered receivers — off the wrong foot — with unorthodox arm actions — that almost always were successful. If you stopped the film just before the ball arrives, you’d very much doubt its success, but then you’d almost always be celebrating another spectacular, big-play, completion, usually resulting in a touchdown. I used the word “incredible” continually while watching Adams’ highlights. 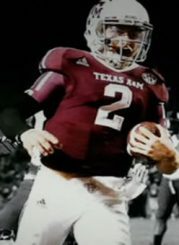 If any of you watched Manziel, at A&M, you saw many similar passes. 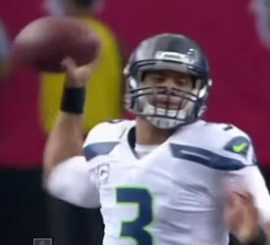 Wilson, at Wisconsin and Seattle, would never dream of throwing those passes; he’s just not programmed that way. Is Adams like Russell Wilson? Adams has incredible [there’s that word again] vision of the field, and the incredible ability to release a pass at the exactly the right moment the completion window is briefly open. He also has incredible accuracy at getting the pass precisely to the right/only place where it could be completed — no matter what body position he is in, or arm action is needed at that moment. Oh, Vernon can definitely step up in the pocket and step into perfectly precise basic passes with the best of ’em. He’s got great footwork and a wonderfully quick orthodox release. But it’s his improvisational ability that’s so unusually incredible. At EWU, Adams completed a whole lot of passes most QBs wouldn’t have even attempted. By the time most “conventional” QBs realized there was an open window and got themselves in position to make the pass, that window would have been closed and/or they’d have been sacked. Aren’t there awful risks that come with these wonderful rewards? Damn right. But Adams had to play that way/take those risks for EWU to be successful. With his mediocre defense and lack of a running game, Adams had to make things happen. Should OC Scott Frost and Helfrich now rein him in? Or is Johnny Manziel a better comparison? Should Adams, now, be more like Wilson than Manziel? I’m pretty sure your answer will vary as the season goes on. There might be a lot of times you shake your head, both positively and negatively, at the pass you just saw Vernon throw. The Ducks can win most games with their QB not doing anything bad, but winning the big games invariably requires the QB to make improvised, “incredible” plays. My conclusion after watching most of Vernon Adams’ games is that his greatest attribute is his football I.Q. He’s kind of “savant-like.” I think geniuses have to be allowed to do their thing. Guided and advised, but definitely not tightly controlled. Maybe, Vernon can combine the best of Manziel and Wilson. The yin and the yang. As Duck fans we’re very fortunate to have the opportunity to see this adventure unfold.